Advance Tickets: $16. Door: $16-20. Reservations paid in advance provide early entry for your choice from reserved seating available as you arrive. Contact us at the email listed on this page: contact us to purchase. Seats will be available to walkup attendees (suggested donation $20). The Electric Maid is located at 268 Carroll St. NW at the District of Columbia-Maryland border, across from the Takoma Metro Station. Join us for a very special performance by Ashley Cleveland as Concerts on the Hill begins a new partnership with the Electric Maid, a non-profit, family friendly community arts and performance space in historic old town Takoma Park. Ashley Cleveland has sung on over 300 albums and appeared on numerous nationally televised programs, in addition to releasing nine albums of her own, three of which were nominated for and all three of which then won Grammys (for Best Rock Gospel album). She was the first female nominee in that distinguished category. Her powerful memoir, Little Black Sheep, was published this fall. 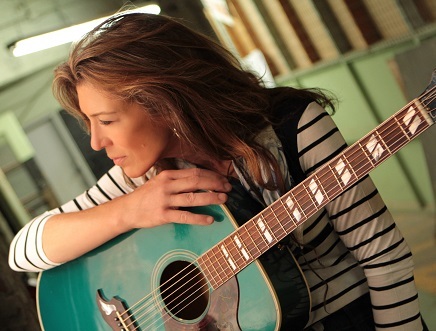 Gifted with one of the most powerful and distinctive voices in music, Ashley is also a tremendous songwriter and engaging performer, displaying her command of the rock, gospel, country, folk, blues and singer-songwriter traditions. This is a unique opportunity to hear her in a cozy venue in the Nation's Capital. One show, one night only. NOTE: The Electric Maid will have bottled water and sodas available (for a $1 donation). No kitchen or food service.